Sainik Schools were set up on the lines of Public Schools and were designed to cater to the needs of the common masses who could not afford to send their wards to expensive and elitist public schools. Sainik School Sujanpur Tira (HP) was set up to cater to the needs of the people of Himachal Pradesh and was inaugurated by His Excellency Shri Neelam Sanjeeva Reddy, the President of India on 02 Nov 1978. He said, “A fine Institution. 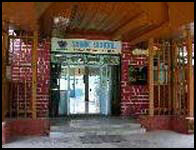 My best wishes for its progress"
Sainik School Sujanpur Tira is 18th in the series of 24 Sainik Schools in the country. Sainik School Sujanpur Tira admits students in class VI and IX on the basis of All India Entrance Examination conducted on Ist or IInd Sunday of January every year. The advertisement are given in the leading newspapers during the month of August/September. The school has extensive playground with lush green silken grass, which looks splendid against the Dhauladhar ranges and Baradari hill.The school has independent NCC unit and NCC is compulsory for all students from VI to XI standards.Sports facilities exist in Football, Hockey, Volleyball, Handball & Basketball besides other minor & indoor games. The school has three Service Officers i.e. Principal, Head Master and Registrar deputed by Ministry of Defence and 50 experienced set of teaching and administrative staff together with 52 support staff for effective management of school activities. In addition, one JCO and three NCO`s from Army are appointed for NCC & Sports activities in the school. The Crest portrays and symbolizes succinctly the ideals professed. Commensurate with our prayer to the Lord, the crest affirms our determination to forge ahead in establishing esprit - de - Corps in our school so that it may act as a nucleus and students who pass out of our school radiate and spread our gospel. (a) SWORD : An unsheathed, double edged sword standing upright, depicting our aim to defend our motherland. India also is portrayed on the crest. (b) HIMALAYAS : The snow capped Himalayas signify the heights we are determined to attain ; the excellence that we strive to attain. The snow stands for purity of hearts and the means that are essential for our upliftment. (c) BOOK : The Book stands for knowledge which forms the backbone for all advancement. (d) WAVES : The waves speak of continuity of our resolve to be united and to continue our march to excellence. Colours appeal first and foremost to feeling; colours give us the warmth of life and emotion. The orange colour chosen as background is the mixture of the Red and Yellow colour. The Red colour stands for strength, preservance and the Yellow colour stands for devotion. Thereby, we go ahead with steadfastness, determination and concentrated mind towards our goal. 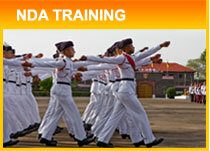 The aim of Sainik School Sujanpur Tira is to prepare boys academically, physically and mentally for entry into NDA, Khadakwasla and other walks of life. A sound character, team spirit, a patriotic outlook and a desire to serve the country with dedication are the qualities promoted by all the Sainik Schools.